Streamline your upcoming relocation with the help of the qualified and reputable Irvine movers at Coast Valley Moving & Storage. No matter what your reasons may be for relocating, you can depend on the reliability and capabilities of our moving experts. We are a ProMover with the American Moving and Storage Association, which attests to our dedication to serving your moving needs. When you choose our top-quality Irvine movers, you can have peace of mind that you're getting moving solutions that are put your satisfaction first. As an agent of Wheaton World Wide Moving, we are part of a nationwide network of pros that are ready to take on your relocation no matter if you're moving locally, our of state or even internationally. For customer-oriented moving services that are tailored to the specific needs of your household, don't settle for anything less than the high-quality solutions from our Irvine moving company. Our professional residential movers in Irvine offer full-service moving solutions and quality assurance throughout your relocation. The highly trained movers at Coast Valley Moving use the most advanced moving technology with expert techniques to streamline your moving operation. We use the most state-of-the-art, modern moving equipment from Wheaton World Wide Moving to create seamless household moves to anywhere in the nation. Create a custom moving plan with the help of one of our move coordinators that finds the perfect way to move your family while staying within your budget. If you're in need of relocation services for your business, look no further for world-class commercial moving services than our Irvine moving company. We understand what it takes to move a business and proudly offer services that minimize your downtime so you can resume productivity as soon as possible. 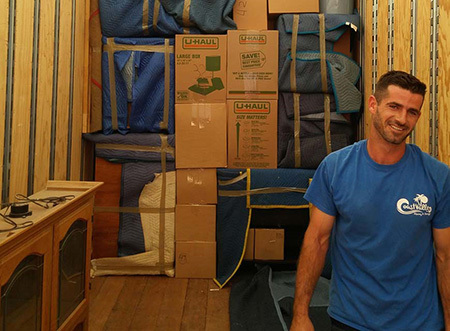 Coast Valley Moving & Storage is a proud provider of top-quality moving services in Irvine. Call us to speak with a moving specialist and get started or fill out our online form to get your FREE, no-obligation moving estimate!